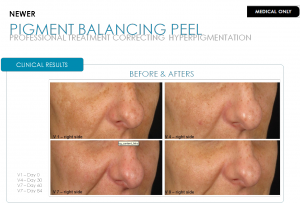 Chemical Peel and Laser Genesis Promotion – August 2014. 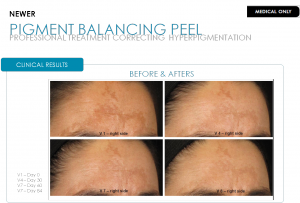 Most patients display panic when their doctors mention the word “chemical peel”. They think blistering, desquamation, scabs and a long recovery period. With all the more media coverage, people are starting to realize that there are different levels of chemical peels. Even “lunch time peels” where you can go back to work and still look radiant. The various solutions used for this includes: Alphahydroxy acids (AHAs), trichloroacetic acid (TCA) and Phenol formulations. The precise formula used may be adjusted to meet each patient’s needs. It is helpful for those individuals with facial blemishes, wrinkles, uneven skin pigmentation due to sun damage and even to just give the skin a boost. Laser Genesis skin therapy is an innovative technologically advanced way to promote vibrant and healthy looking skin in men and women. Now you can have a more youthful appearance by treating those conditions that are typically associated with premature signs of aging and sun damage, such as excessive redness, large pores, uneven texture, and fine line wrinkles. 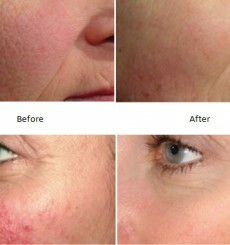 The Laser Genesis procedure has been scientifically proven to produce new collagen. By taking advantage of this amazing offer you are sure to reap the benefits by helping your skin function at optimum level. Phone or email us and book your appointment today. Wembley Square, Solan Street, Gardens, Cape Town.